Welcome to my modest abode. Well it certainly isn’t a ‘tent’. 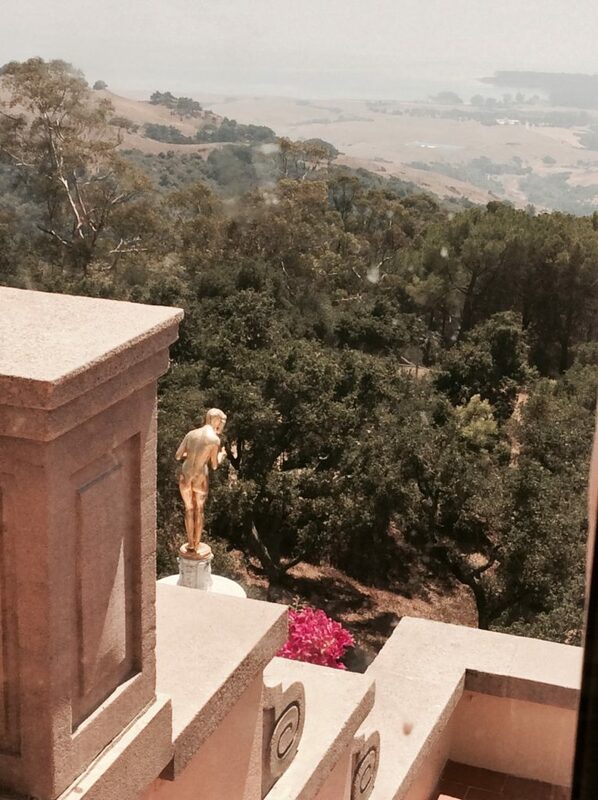 TheEye had longed to see Hearst Castle for years. 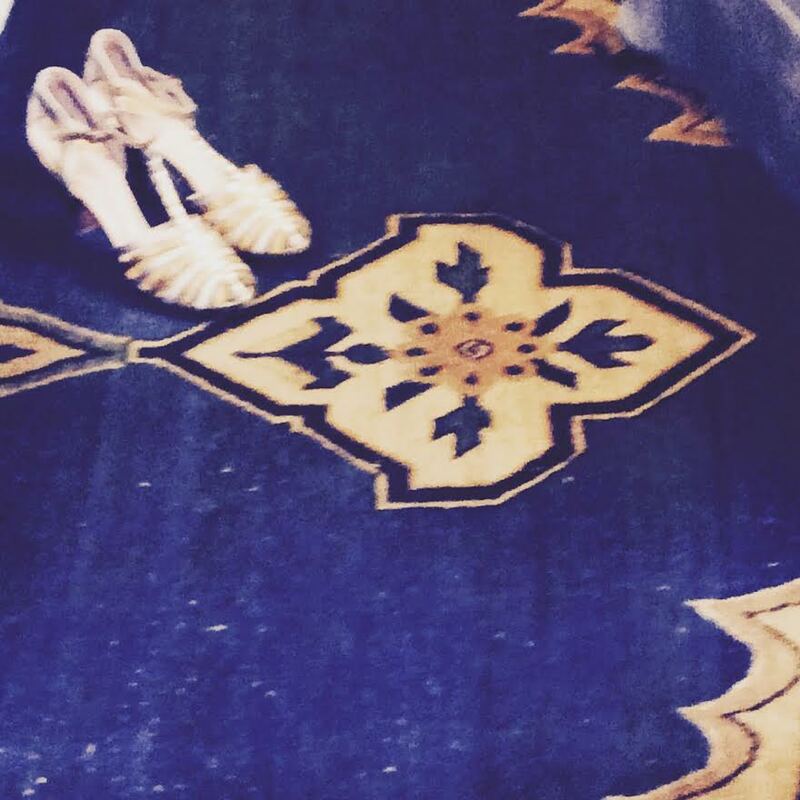 She had seen many pictures and knew the aesthetic would reflect her deep love of minimalism! 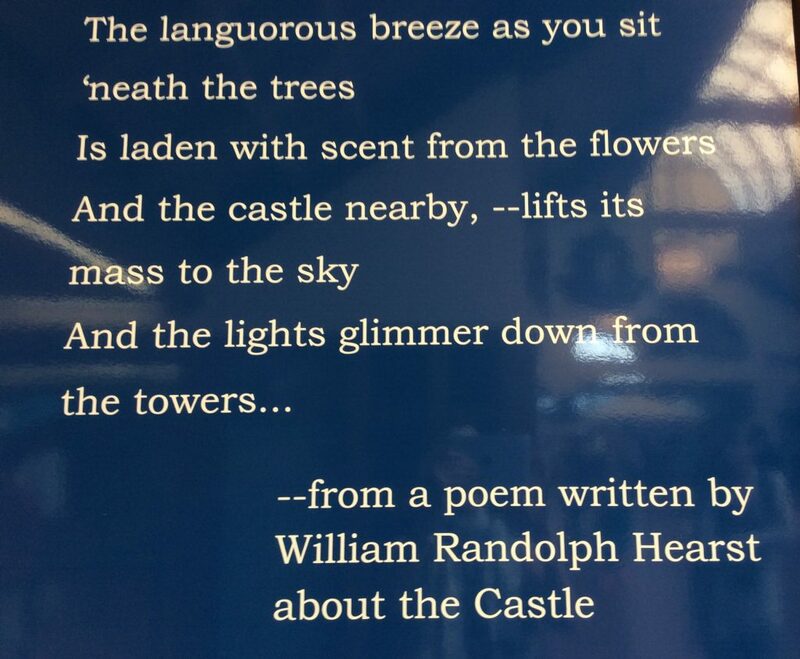 Newspaper baron WILLIAM RANDOLPH HEARST had a privileged upbringing. As a boy of 12, he travelled around Europe with his mother, Phoebe, on a Grand Tour, acquiring from her a love and appreciation of art, architecture, and sculpture. 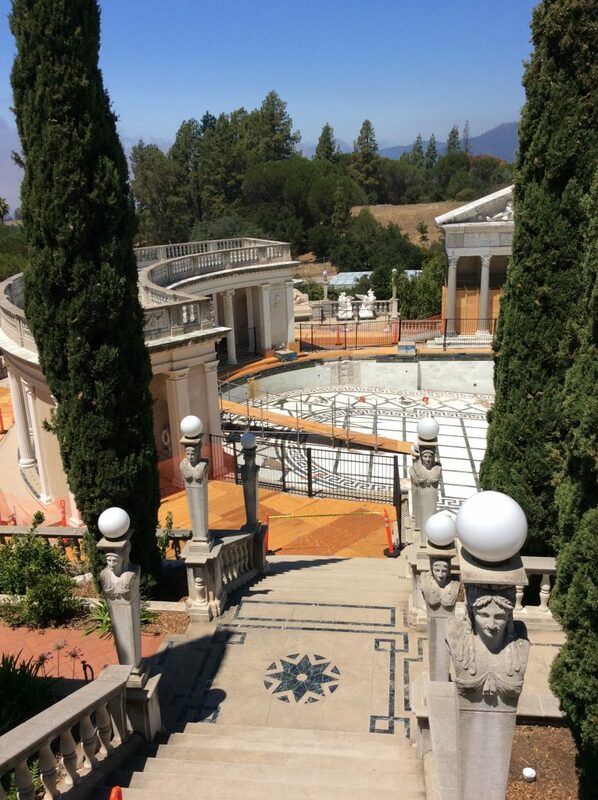 It inspired him with a vision of creating his own Baroque style castle and when Phoebe died and left him the family’s fortune it included a 168,000 ranch on a mountain top in San Simeon, California. 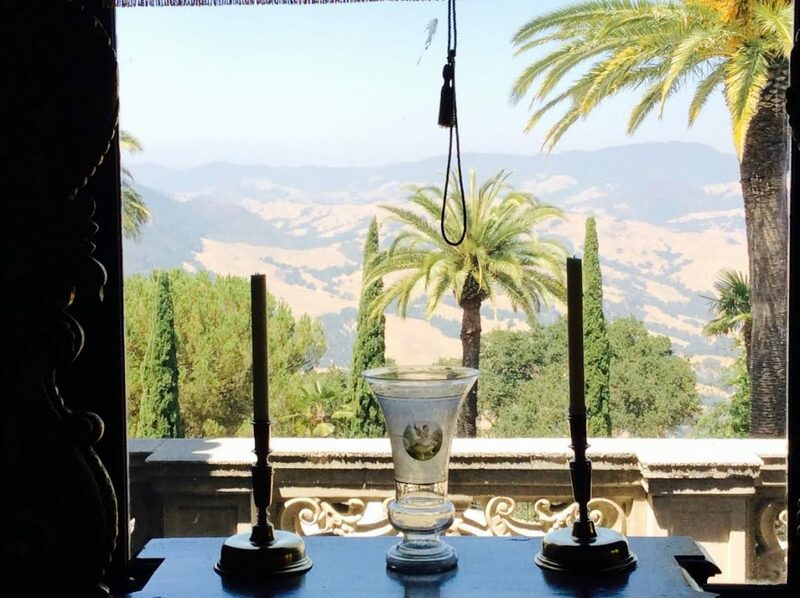 In 1919 he hired Julia Morgan, a San Francisco architect, to build his hilltop retreat . He told Miss Morgan it would probably take about four years to realize his dream. 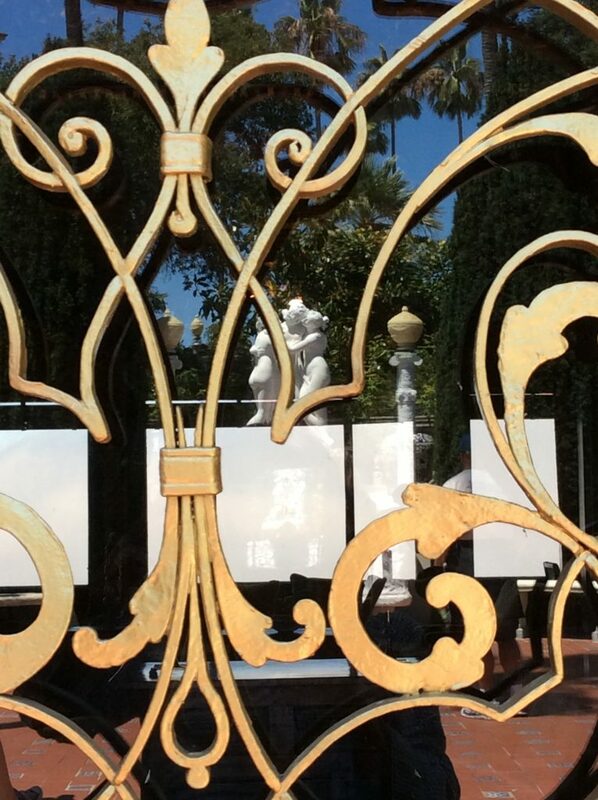 TheEye can sympathise with Mr. Hearst. We have all experienced builder’s poor timetable skills and delays. 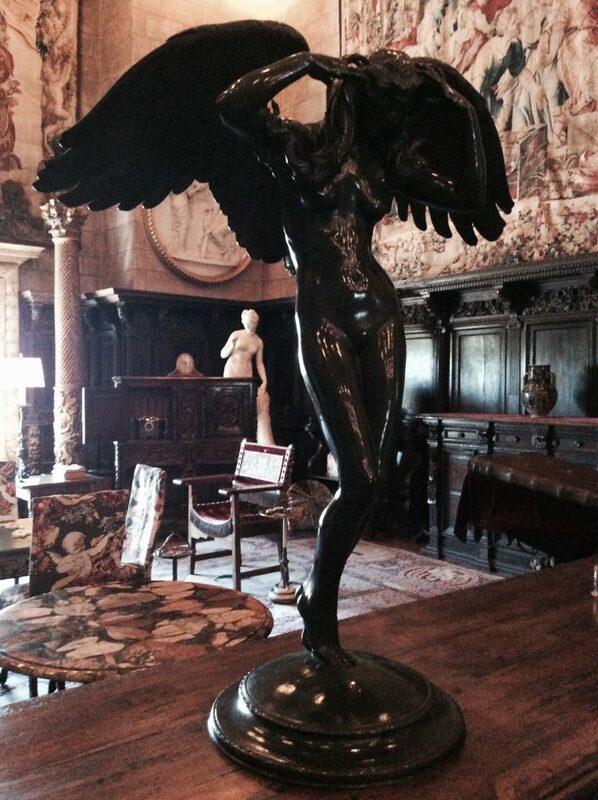 Hearst Castle ran about 27 years over schedule. True, the client did change his mind constantly but, in the end, he got the home of his dreams. A modest 165 room mansion set in 127 glorious acres where rare and exotic animals freely roamed and views to die for. 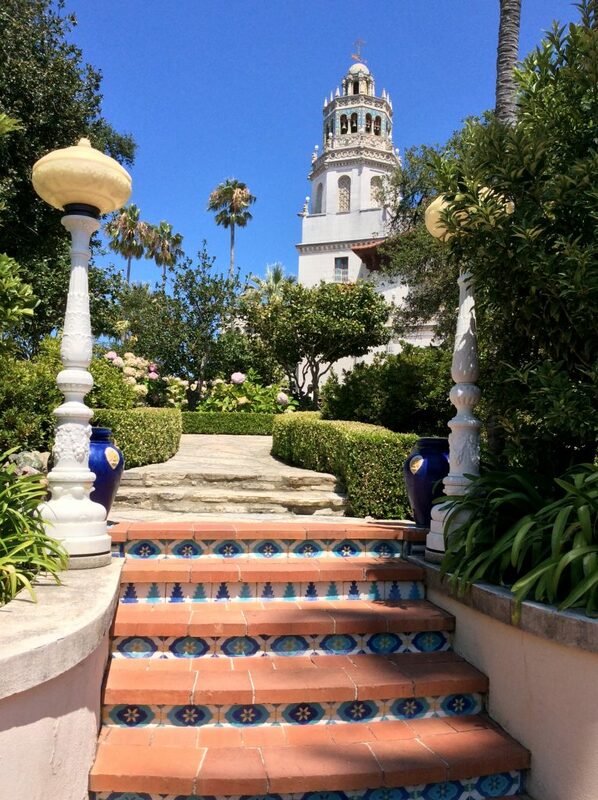 William R. Hearst (nicknamed ‘The Chief‘) wasn’t a newspaper tycoon for nothing. He ran the San Francisco Examiner which he inherited from his father and hired the most talented writers of the day, including Mark Twain, Jack London and Ambrose Bierce. As an editor, he adopted a sensational brand of reporting, later known as ‘yellow journalism’ with sprawling banner headlines and hyperbolic stories, many based on speculation and half truths. Crime stories, investigative reports on government corruption and negligence (sounds familiar??). In the 1920’s, one in every four Americans read a Hearst newspaper which included 20 dailies and 11 Sunday papers in 13 cities. 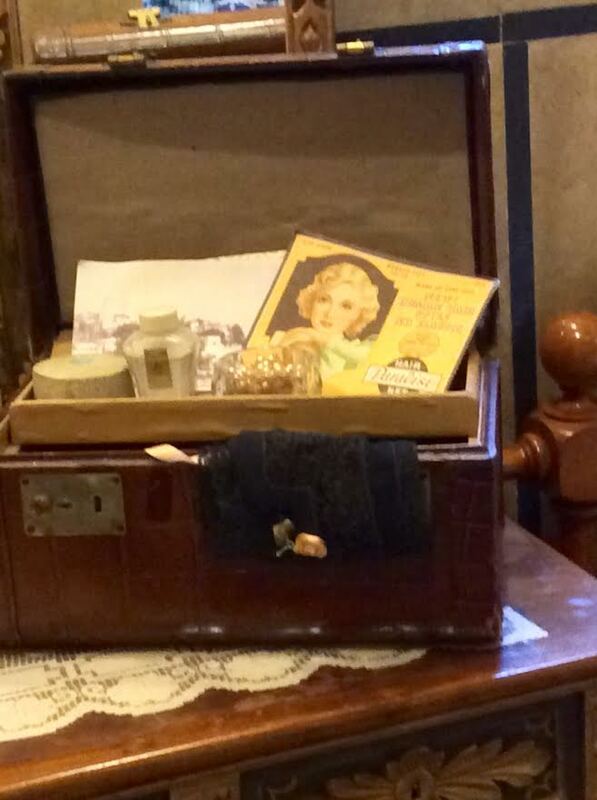 In addition, there were six magazines and interests in movies. Not surprisingly, Hearst was a tyrant (Orson Wells modelled Citizen Kane, a thinly veiled biography of him).The mogul was not pleased and tried to prevent the film being released and even offered to pay for the destruction of all the prints. Wells refused and the film survived and is regarded as one of the world’s greatest. 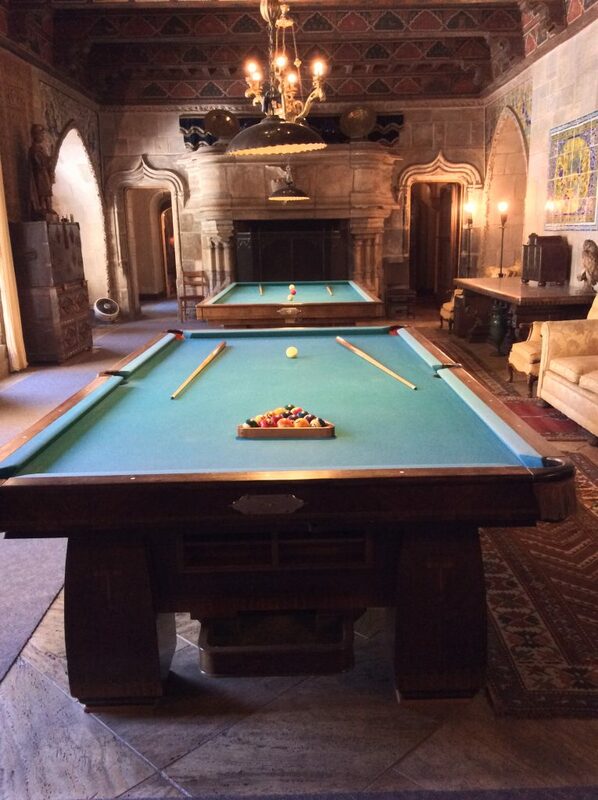 So it’s probably somewhat surprising that he and the highly professional (yes, female) architect, Miss Julia Morgan, worked so well together over so many years. Always primly and properly dressed, even in the baking California sun, Miss Morgan was on board for every change, every detail. 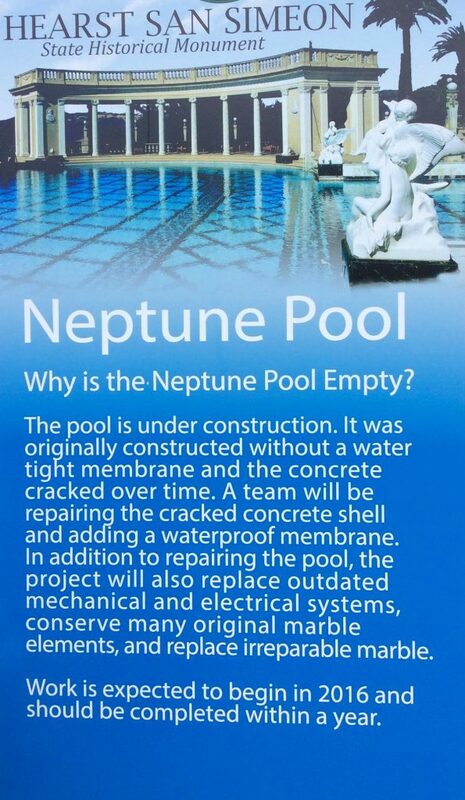 Probably the most famous image of the Castle is the famous Neptune Pool, under renovation for the past several years and seems deemed to go on even longer. 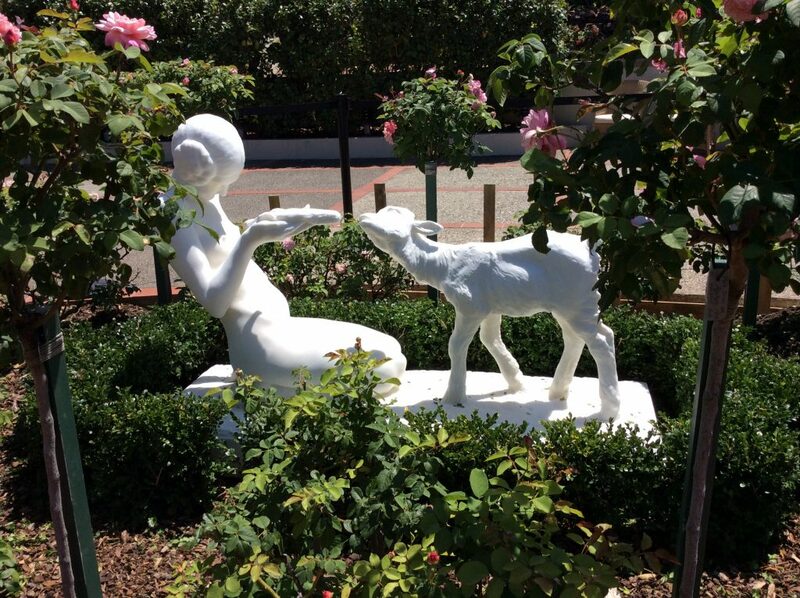 Did Hearst Castle live up to TheEye‘s expectations? – YES YES YES. Minimal? I don’t think so. The castle is marvellously over the top and self-indulgent. 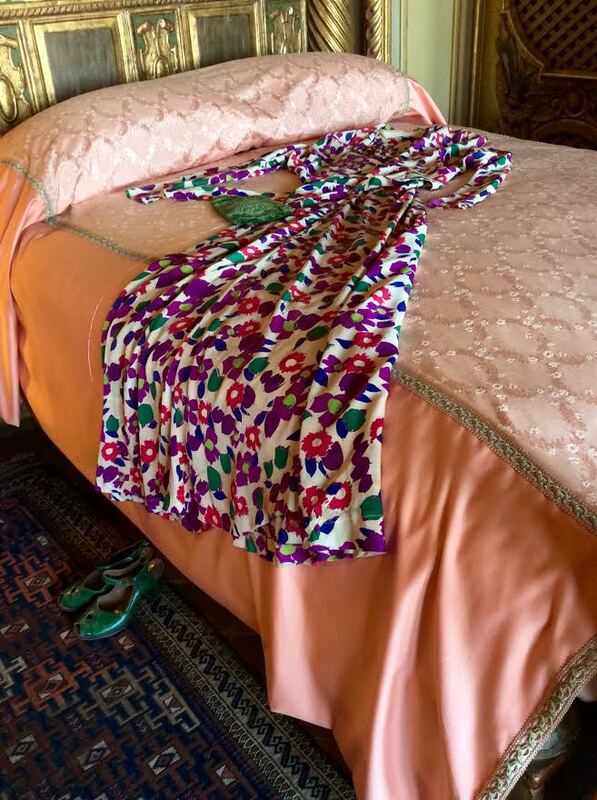 No wonder EVERYONE wanted an invitation to spend a few days in Hearst’s paradise. Swimming in the magnificent pools, playing snooker, tennis, riding, hiking or just hanging out with the other famous guests – politicians (Winston Churchill), writers (George Bernard Shaw), many movie stars and actors (Charlie Chaplin, Gary Cooper, Harpo Marx, Buster Keaton) to name just a very few. 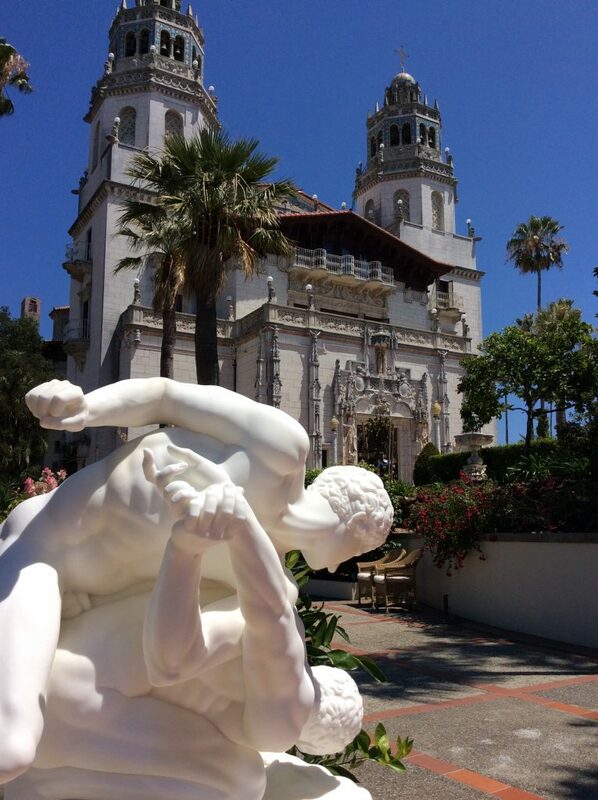 For the great, the good, and the not so good (guests included the odd high profile gangster) no one turned down an invitation to Hearst Castle. There was music, dancing, gems, pranks and movies. Everyone had a good time. Guests were free to do as they wished all day but come the cocktail hour they all got together for major socialising before going into the dining room to be seated at one long table . You needed clothes for all occasions – dressing for dinner and a chic tennis outfit. A minstrel’s gallery where musicians played and sang were often country music stars of the day, such as Gene Autrey. 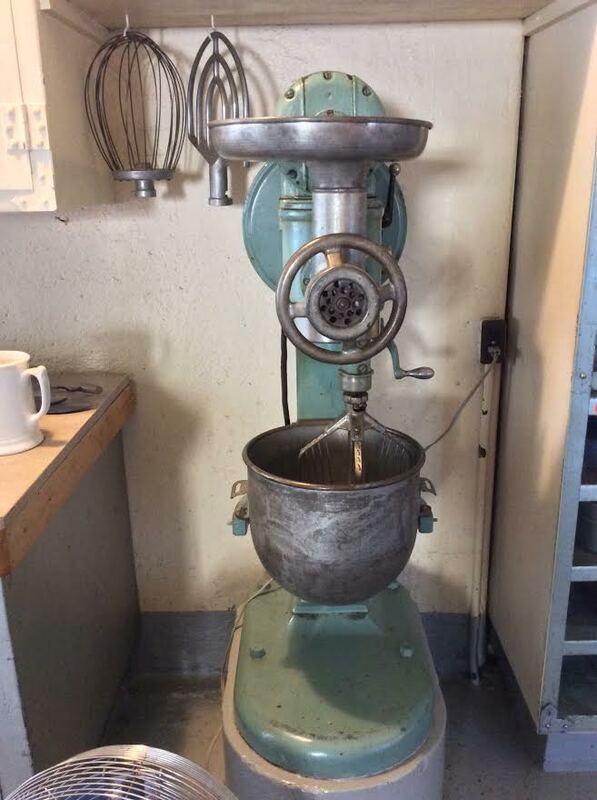 WRH was a ‘country boy’at heart and food was of the wholesome, unsophisticated variety – meat and potatoes with mustard and ketchup in bottles on the table. 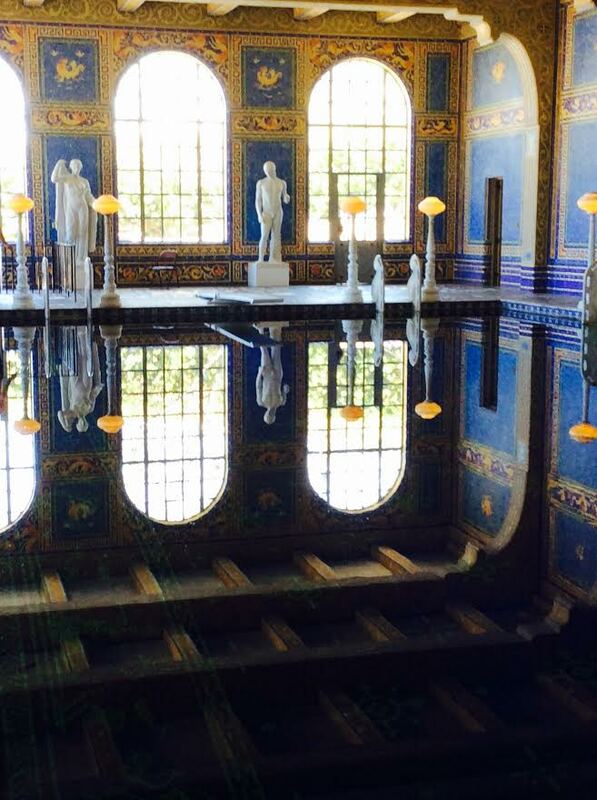 The indoor swimming pool – to die for. Guests were accommodated in luxurious cottages, each named for its view. 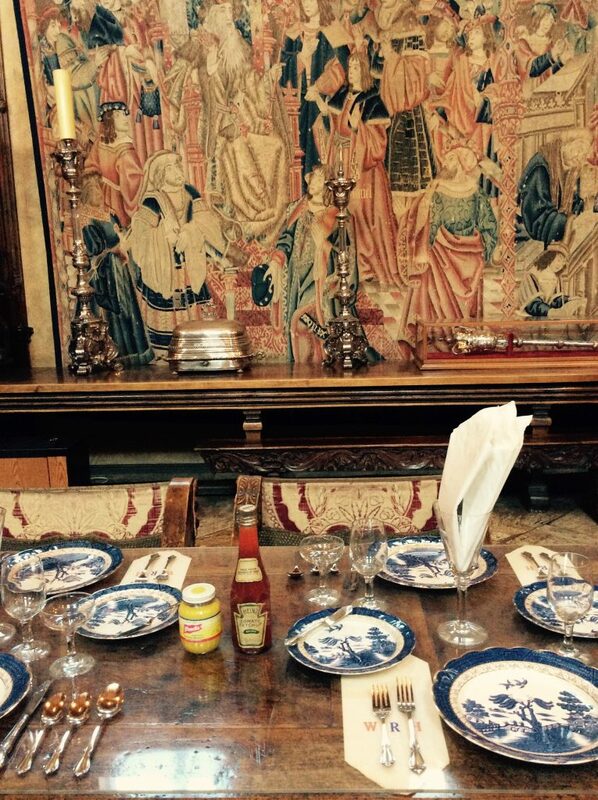 Luxuriously furnished, none had kitchens as guests were required to eat their meals in the main house. However, all good things can come to an end, even for the rich and powerful, and when the stock market crashed the Hearst Corporation was hard hit, especially the newspapers. 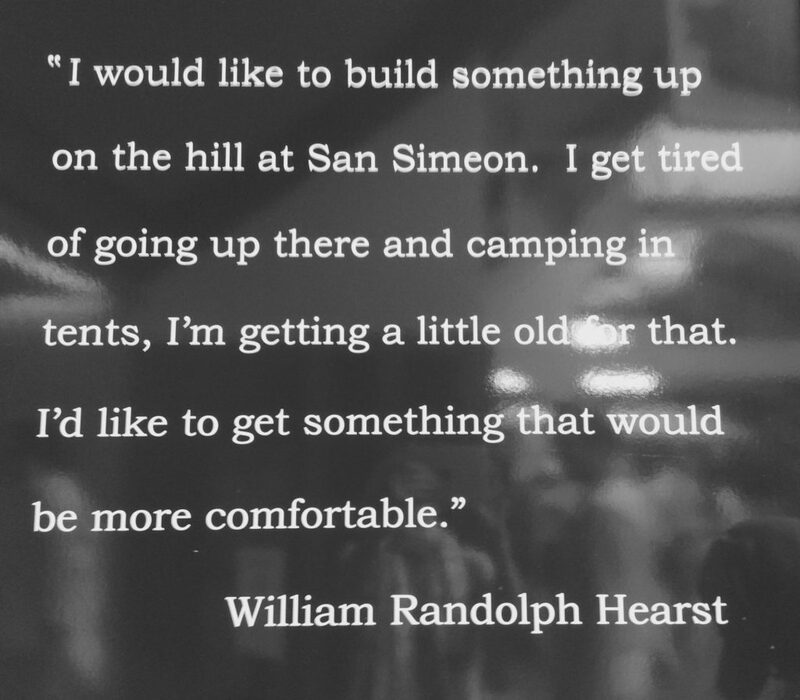 Hearst had to close down his film company and several publications. By 937 he was forced to sell many of his precious antiques and art to pay creditors. It was Marion Davis, his long-term partner after divorcing Millicent, the mother of his five sons, who saved him. Marion Davis was Hearst’s devoted and loyal companion. She amassed a personal fortune in real estate and other canny investments and when he lost his fortune she bailed him out. Glorious peaceful view from a bedroom window. 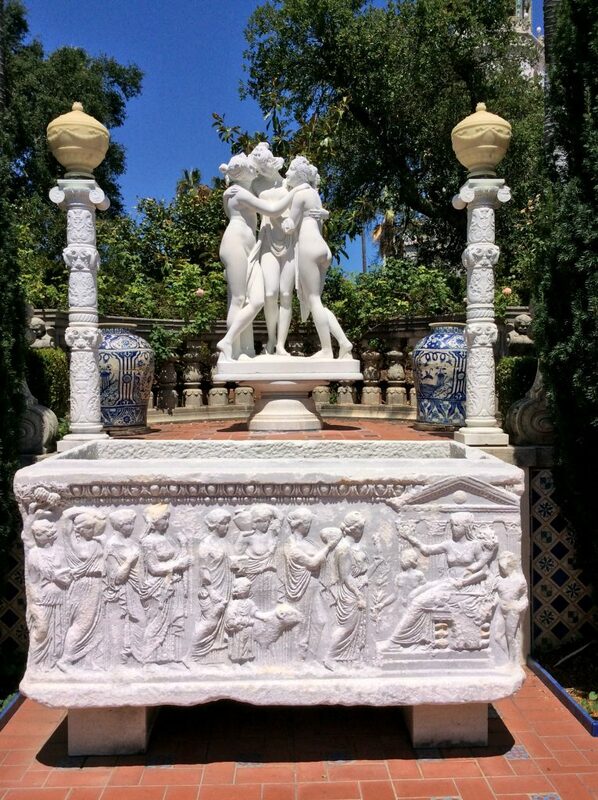 Hearst Castle is unique – over the top – a wonderful, mad, indulgent fantasy. One day you must go – maybe wait for the pool to be filled! It’s quite amazing. I remember being totally bowled over when I went about thirty years ago. It is so vast that you can only do a couple of the five available tours… Of course the swimming pool had to be on mine as well but there are two pools, an indoor and an outdoor which is about as conspicuously consumptive as you can get!